We all have that certain spot at home that we gravitate towards. Perhaps it’s the recliner with TV remote in hand or maybe it’s a quiet window seat for reading. Wherever it is, everyone has their place. Similarly, everyone needs their space at work to feel connected and productive. And just like at home, there is not a cookie-cutter solution that will work for everyone. 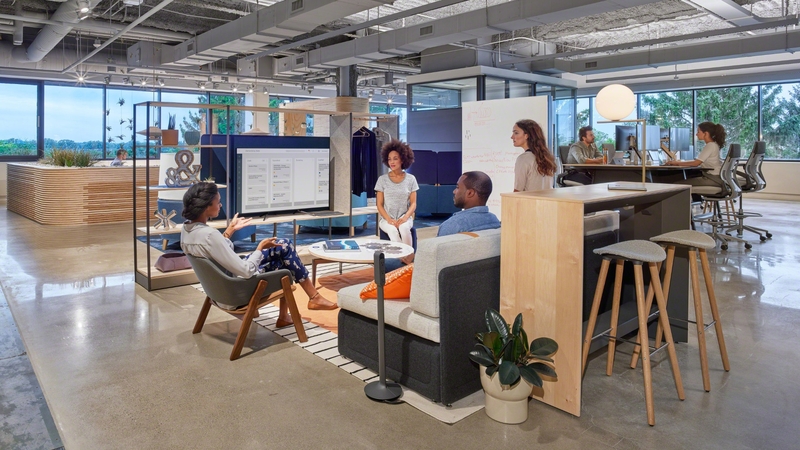 Maybe one team needs a casual space with lounge furniture to inspire creative thought and collaboration, while an individual requires a quiet, secluded space that helps them focus. People are comfortable at home. The autonomy that homelife affords can be replicated at work, helping improve employee wellbeing. 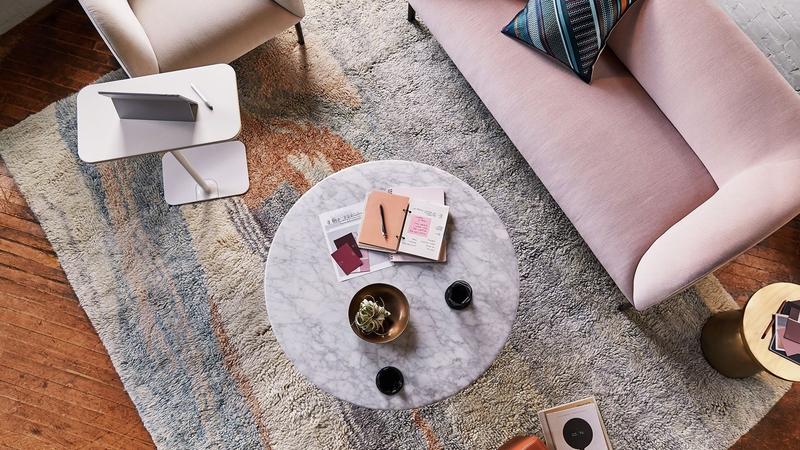 Steelcase’s research on engagement has found that “…highly engaged people also tended to have more choice and control in their work experiences.” Think about how checked-in you are at home. Could it be because of the control you have? Workspaces that offer choice (from where, when, how work is completed) foster employee connectedness which enables them to effectively contribute. Decompressing after a day at work is pretty normal. But wouldn’t it be great to have a good experience at work, so much so you didn’t have to unwind? Workplaces that allow people to work, interact, communicate and live in a way that’s true to who they are promote employee wellbeing. At home, people feel safe and can be themselves. At work, it’s important for them to still feel safe, in addition to trusting that their environment will afford them the opportunity to just be themselves. Resimercial design can help you take your workplace to the next level and create an environment where your employees will thrive and be productive. 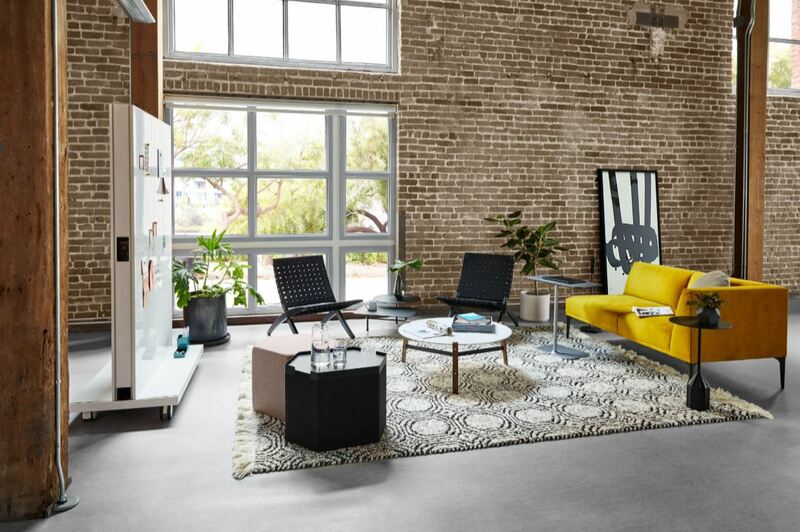 McCoy-Rockford can help you make furnishing selections that prioritize your team’s wellbeing. Contact our team to get started today.